Today is an exciting day for author Stephanie Meyer and fans of her Twilight series. If the words Twilight and Stephanie Meyer don’t ring a bell with you, you’ve either been living under a rock or on another planet. Readers, young and older, are caught up in the relationship of Edward and Bella. 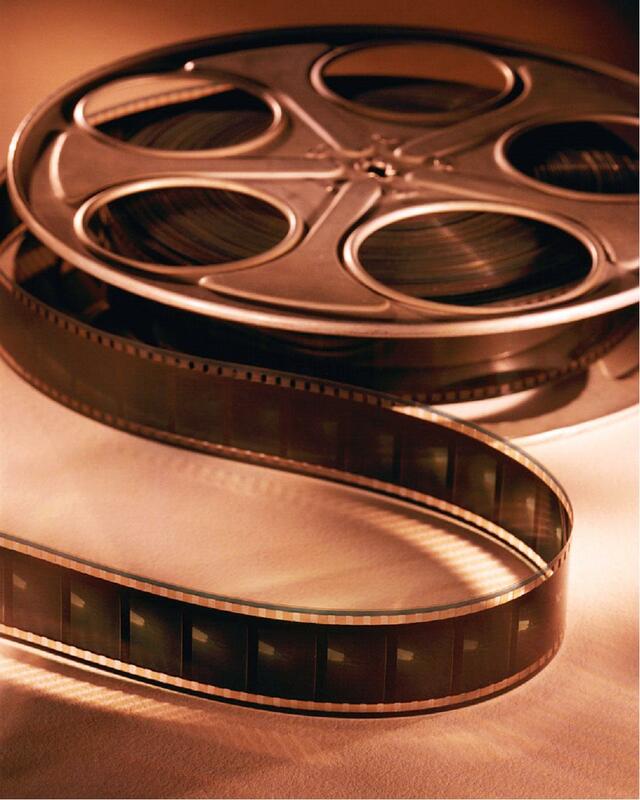 As an author, I freely admit that I dream of the day my books will become movies. I think this is something a lot of authors envision as they sit writing their books. I will go so far as to admit that when I wrote my first book, Freshman Focus in 2003, I visualized the cast and imagined that we would have movie premieres in Los Angeles, New York, Charlotte, and Cleveland, Ohio. I can only imagine the excitement that an author feels when they are advised that his or her book is being optioned to become a movie in addition to the excitement that the author’s readers feel knowing that a book they read is going to become a movie. This year alone we saw young adult titles Nick and Norah’s Infinite Playlist by Rachel Cohn and David Levithan and Sisterhood of the Traveling Pants 2 by Ann Brashares hit the big screen. A few weeks ago, I walked into Borders and was inundated with copies of Twilight, the soundtrack, and other merchandise on hand to promote the movie’s release. And it hit me, this should be happening to more young adult authors, especially those written by African American authors. There are so many books written by African American authors that could be optioned into a big screen movie with its very own movie premiere, soundtrack, and all of the other accoutrements that come with a movie debut. If it’s not possible to do a big screen movie, many books could become movies debuting on Disney Channel, Nickelodeon, or ABC Family similar to the success of the Degrassi, High School Musical and Cheetah Girls franchises. I wish we still had After School Specials because many books could fill that niche as well. But instead of ranting on the lack of, I am going to suggest the top five young adult books written by African American authors that I would love to see become a movie, mini-series, or TV show in the next ten years. To be fair, this list excludes the books written by the Brown Bookshelf committee. It goes without saying that our books are ready to become movies post haste. Will Smith, if you’re out there, instead of the Karate Kid, here are some books that could use Overbrook Entertainment’s touch. It goes without question that it was difficult to narrow my list down to five choices, but these five reflect a wide diversity of the books currently available for African American young adults. Tears of a Tiger by Sharon Draper: Go into almost any school across the country and mention this book and you will see hands shoot up in the air that they read the book and loved it. This book is a teacher’s saving grace with reluctant and avid readers alike. I first heard of the book ten years ago and its popularity has not lessened. This book is overdue to become a movie. Tyrell by Coe Booth: I read Tyrell earlier this year and it made such an impression on me. 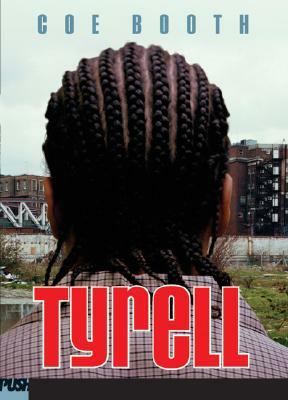 Tyrell’s story is captivating, offers such an honest look at male adolescence. Coe Booth’s ability to capture the male point of view is very impressive and I would love to see this story captured on film. 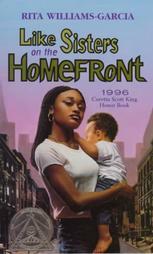 Like Sisters on the Homefront by Rita Williams Garcia: This is another book that I read ten years ago that has stayed with me as a book I believe young adults should read. What starts out as a story about teenage pregnancy becomes a story about the importance of knowing our family members and how the lessons our elders teach us have meaning in our lives. 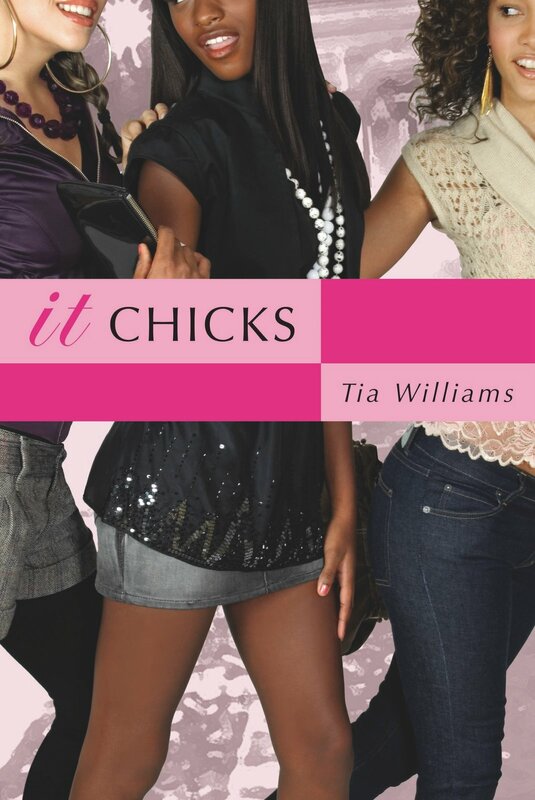 It Chicks by Tia Williams: This was a fun read for me, a bit racy in parts, but I think the story merits being told. 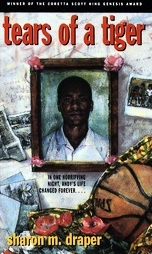 Dealing with the complexities of being at a performing arts school set in New York (for my age cohort, think Fame with Debbie Allen), new friendships, and the age old boy/girl relationship dynamics and Tia Williams’ It Chicks would translate very well in movie form and can be followed by her sequel 16 Candles. 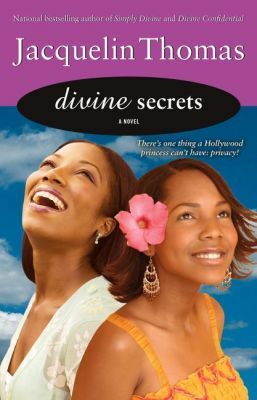 Simply Divine by Jacquelin Thomas: With the success of movies by Tyler Perry, TD Jakes, and other films that revolve around a religious theme, it is time to give young adults a spiritual movie outlet as well. I really enjoyed reading Simply Divine and since it is a series, this could be developed in several different ways. I enjoyed the faith in fiction element and I am sure many young adults will enjoy meeting Divine, her parents, and her Georgia family. So there you have it, my top five choices for books to be optioned into a film version of itself. Now, it’s your turn to sound off on what books you would like to see on the big screen. I’d love to see Shelley Pearsall’s All of the Above – I want to *see* the giant tetrahedron! Paula Chase left a comment referring me to your site, and I’m glad to find it! Touching Snow- (M Sandy Felin) ) I see this more as an Indie release. I remember when my aunt’s book (Eleanora E. Tate), Just An Overnight Guest, was adapted and made into a movie. It starred Richard Roundtree and Rosalind Cash. It was so exciting. I think it was more of an After School Special type of movie, but it was still a movie and it would be nice to see more like this. You know, a book I recently read, I kept imagining it being made into a movie — The Adventurous Deeds of Deadwood Jones. The author isn’t AA, but the main character, Deadwood Jones, is and he is based on a real-life person. What a great western this would make. Doret, Touching Snow was on my list of books I can definitely see becoming a movie. I thought it would make a great indie release as well. Definitely check out Rita Wiliams Garcia. You’ll love her! Don, I will have to check out Just an Overnight Guest, see if it’s available as a rental. Sarah, I never heard of All of Above, but I checked it out and it looks like a cool read. Carla, what about The Making of Dr. Truelove? A romantic comedy starring an African American teen boy that isnt a one dimensional charatcer that only knows how to sell drugs, play ball, rap, and comes from a troubled environment. Its a book about love, vulnerability ( something we don’t see enough of from Black men, regardless of age), and a positive look at Black love. Don’t leave a brotha hanging. Great post, Carla! I’d love to see Paula’s So Not the Drama made into a movie. It’s smart, fun, has a multicultural cast. Another pick would be Dana Davidson’s Played. Carla, an interesting side note. I highlighted a book today called GUARDIAN by Julius Lester. In an author’s note, he mentions how the book had originally been intended for a movie, after he’d been approached by a Hollywood director interested in doing a movie with lynching as the subject matter. But Lester wanted to write a story about “a little white boy who goes to a lynching with his father,” as demonstrated on postcards depicting lynchings. The director was looking for a movie told from the point of view of a Black, but Lester found no creative challenge in writing that story. So, they parted ways. I wish there could have been some resolution because Lester’s story is so compelling, it would have made a great movie. Being one of those studio execs who seeks out children’s and YA literature to make into movies, i would like you all to know that hollywood is actually quite eager to make family movies starring african americans. however, most of the titles already mentioned are issue oriented, involving abuse, teen pregnancy and other dramatic plots which, unfortunately, are very difficult to market in the feature film world. these ARE great books. but cable tv is an easier arena for their realization to film because the production and distribution costs are so much easier to control. but i will continue to peruse this blog and if anything with potential comes up, i will happily seek out the rights holders! Wow, the response has been tremendous to this blog entry. Thanks, everyone! Riley, thank you for weighing in from the studio’s perspective. I think your POV is invaluable to us understanding as authors how books are optioned into movies for the big screen as well as TV. Geez, a girl takes a break from reading the blog and look what happens. It’s so good to see so much response to this thread. Riley brings up a good point about big screen vs. small. When I look at Nickelodeon and The N and the shows they produce, I see books like mine fitting there. So I’m not picky TV or film I’d simply like to see more Af-Am books adapted. Ditto, Paula! I can definitely see your Del Rio Bay crew being a show in the lineup with I, Carly and Tru Jackson. Riley, I’m not sure if this makes a difference, but the books I selected in my initial blog are all young adult fiction and Fox Kids might not be the best fit for them as you outlined in your response. But maybe Fox Kids would be great for picture books and middle grade titles. Off of the top of my head, I would love to see Willimena Rules by Valerie Wilson Wesley made as a movie or become a TV series.